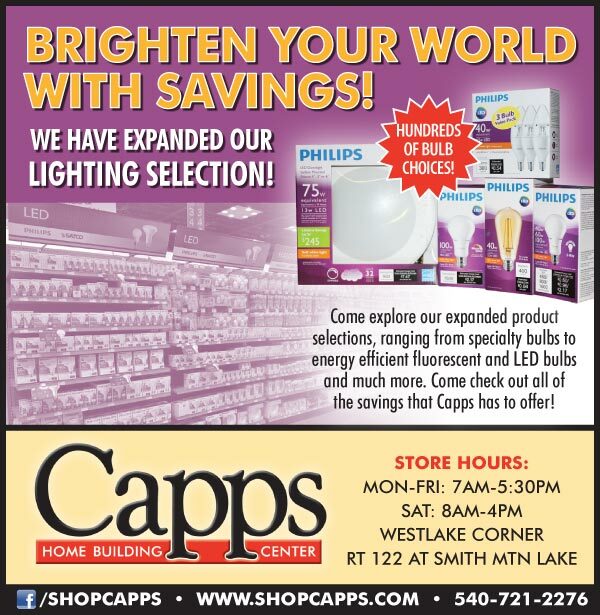 NEW Expanded Lighting Selection at Capps! Brighten your world with savings! 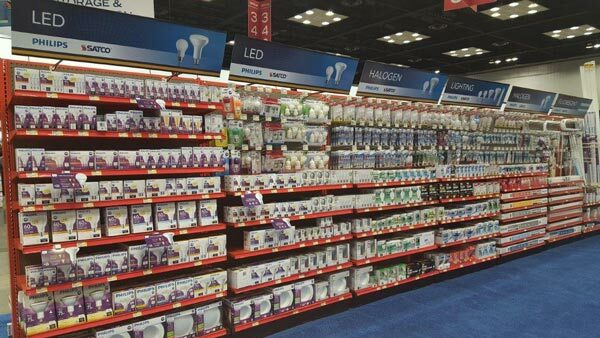 We have now expanded our lighting selection with products ranging from specialty bulbs to energy efficient fluorescent and LED bulbs and much more — enjoy hundreds of bulb choices without having to drive out of your way. 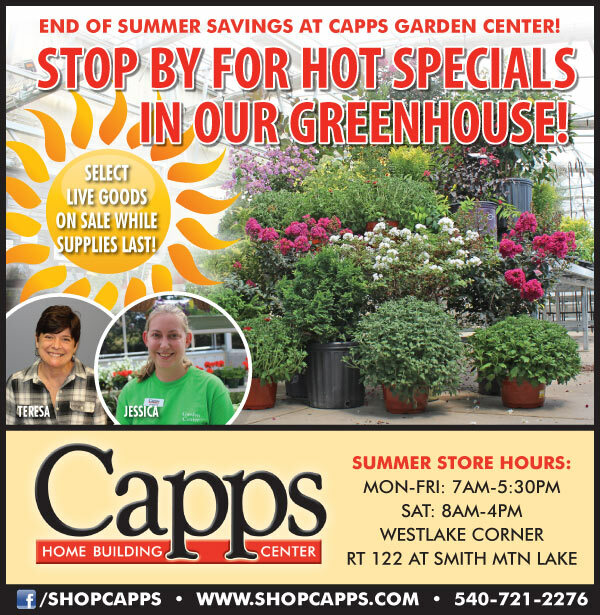 Come check out all of the savings that Capps has to offer! Hot Specials Right Now in our Greenhouse! Now is a great time to visit Teresa and Jessica in the Garden Center and check out HOT specials available on select live goods! While supplies last! Just in time for Father’s Day! 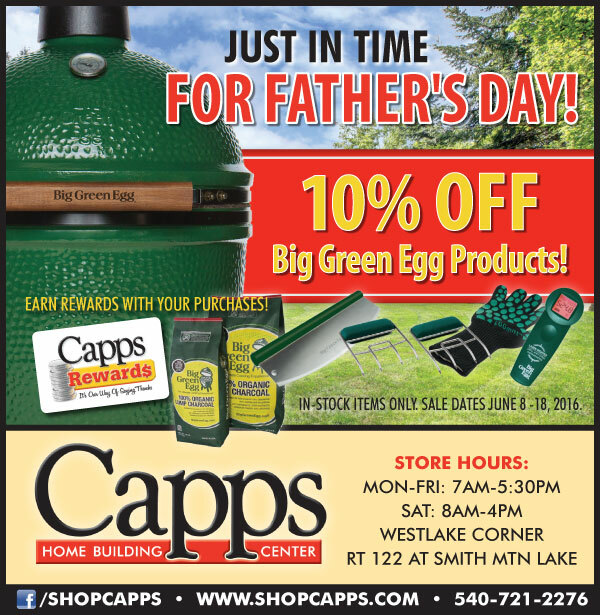 Capps is an authorized Big Green Egg dealer and now you can save 10% on Big Green Egg products through June 18th! Capps also has a robust selection of EGG-cessories also to complement the cooking units. Stop by and see our selection and get all your gifts for Father’s Day. Get Double Capps Rewards Points on Black Friday! 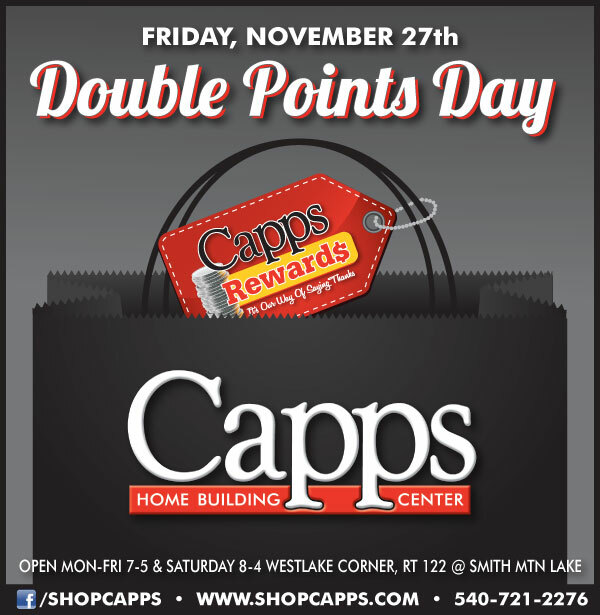 Black Friday is also Double Points Day at Capps! Get your holiday shopping gift items at Capps and earn points for additional savings! Don’t have a Rewards Card yet? You can learn more about it here and then stop by to get your account set up. We are open normal hours on Friday November 27th from 7am – 5pm. Announcing a special offer! 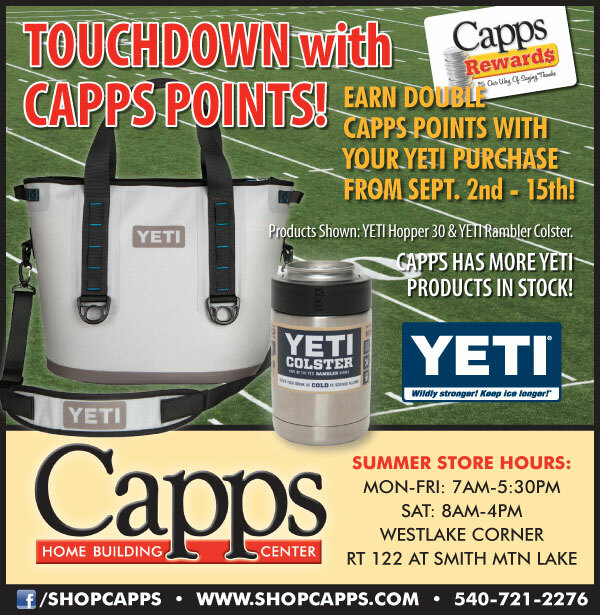 You can earn DOUBLE CAPPS REWARDS POINTS with any Yeti purchase from now until September 15th, 2015. Yeti products are the perfect tailgating accessories to keep your snacks and drinks cold and fresh all day long. Stop in and see our selection today! 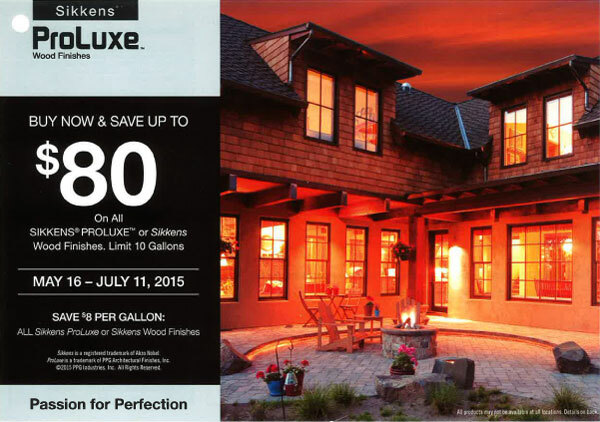 Available in our paint department, Aura® Waterborne Exterior Paint, from Benjamin Moore. Stop by and ask our paint professionals any questions you might have on your next painting project. Aura® Waterborne Exterior Paint features a proprietary Color Lock® technology that offers superior color and fade-resistance and it’s specially formulated to withstand even the harshest weather conditions. 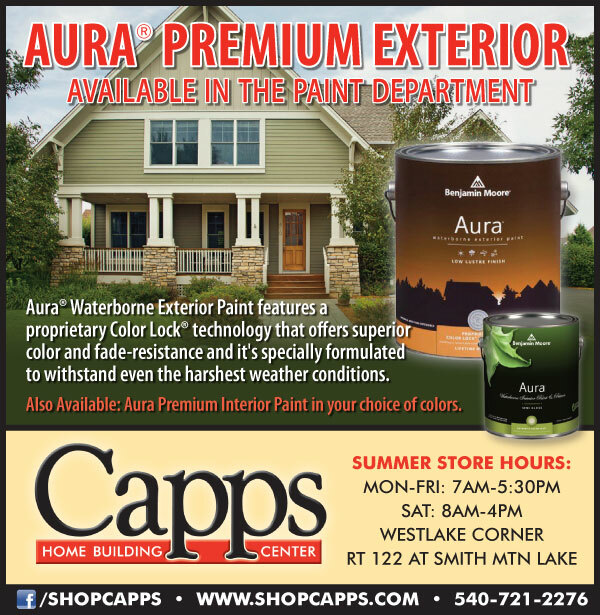 Also Available: Aura Premium Interior Paint in your choice of colors. 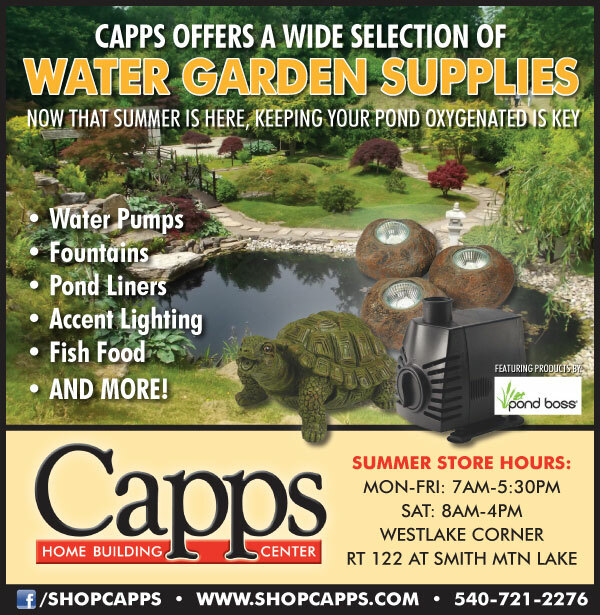 Come browse our selection of water garden supplies at Capps! We’ve got a great selection of water pumps, fountains, pond liners, accent lighting, fish food and more. Summer is the time to keep your pond oxygenated and we feature high quality Pond Boss products among the variety. 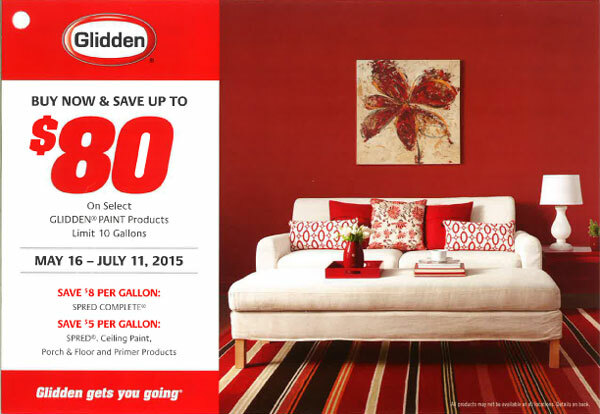 On Sale Now for $20.95 per gallon at Capps through July 7th! 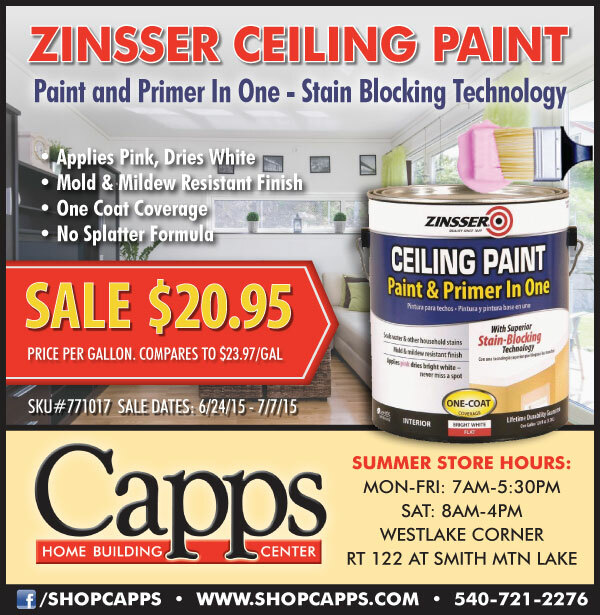 Zinsser Ceiling Paint and Primer In One with Stain Blocking Technology. High performance, low VOC, interior latex acrylic paint is specially designed for ceilings. Formulated with superior stain blocking technology, it seals water and other household stains in 1 coat. Goes on pink and dries bright white to easily see what was previously painted. High hiding, flat sheen provides a mold and mildew resistant finish. Sales ends 7/7/15. Compares to $23.97 per gallon. 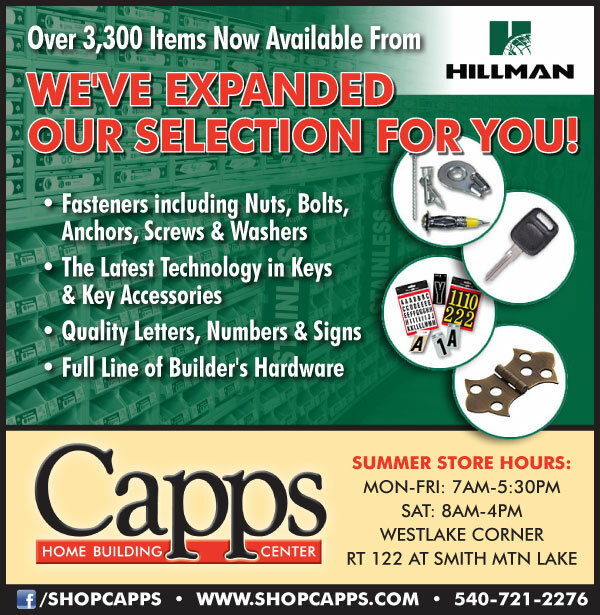 Expanded Hillman Product Selection – Over 3,300 Items! 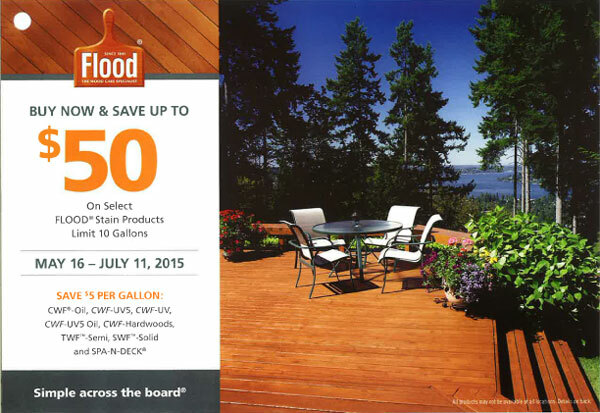 Take advantage of these great rebate savings when you buy select Flood, Glidden, and Sikkens products now through July 11th at Capps. Be sure to stop by and see our paint professionals for more details!